Welcome to the i3 Alumni Association! Our goal is to build a strong network of relationships between our alumni, current i3 Scholars, and the information community. The i3 Alumni Association provides information regarding news, career and volunteer opportunities, event announcements, and professional development support. We encourage you to keep us updated by providing a current email address, contact information, and career-related news. All i3 Alumni communications are sent electronically, including the e-Newsletter, event invitations, and calls for nominations. 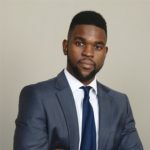 Aderin works as a Systems Analyst at UPMC Health Plan on various projects related to data integrity, system integrations, and process improvements as it relates to data transformation as well as end user satisfaction in the health insurance field. 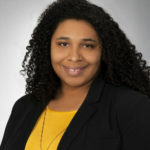 Aderin completed her BS in Information Science from the University of Pittsburgh, and her MS in Health Care Policy and Management from Carnegie Mellon's Heinz College. She first became involved with i3 in as a student scholar in 2015. In her free time, Aderin enjoys perfecting her macarons and experimenting with cupcake recipes. 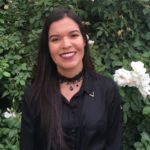 Rebeca was a 2012 i3 Scholar and graduated with her master’s degree in Criminal Justice and Criminology in 2017 from Washington State University. Rebeca is currently working as a Graduate Program Coordinator at Washington State University in Pullman, WA. Besides loving to help i3, Rebeca loves to hike, hangout with family and friends, and practice taking random nature photos. Dom works as a Software Application Engineer at SAIC in Reston, VA. He has experience working on projects related to data quality assurance, inventory procurement systems, and assistive technologies for adults with autism. Dom served as the Philanthropy Chair of Sigma Alpha Epsilon fraternity and organized a fun-run to raise support for local veterans and victims of domestic abuse. David is a graduate student pursuing his MSIS in the School of Computing and Information at the University of Pittsburgh. He formerly worked as a Research Associate at Reis, a commercial real estate and data analytics company. He loves tough challenges and games like Texas hold’em for applying quantitative reasoning to gain a competitive edge. He is interested in urban informatics, behavior modeling, and game theory. 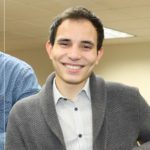 David was a 2016 i3 Scholar and completed his bachelors degree at the College of Westchester. His i3 research team projects on the emerging gig economy were accepted to two international, peer-reviewed conferences in 2017 and 2018, where he presented his work in Wuhan, China and Sheffield, UK. He hopes to one day help build smarter urban environments using a multi-lens approach towards problem solving. 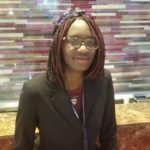 Adanna is an undergraduate student at The Pennsylvania State University pursuing her B.S in Information Sciences & Technology. Besides her i3 research, in her spare time she likes writing, baking pastries (mostly for her i3 colleagues), and playing video games. Her current research focuses on how the diversity within video games influences the buying patterns of their users, and she will be presenting at iConference this March.